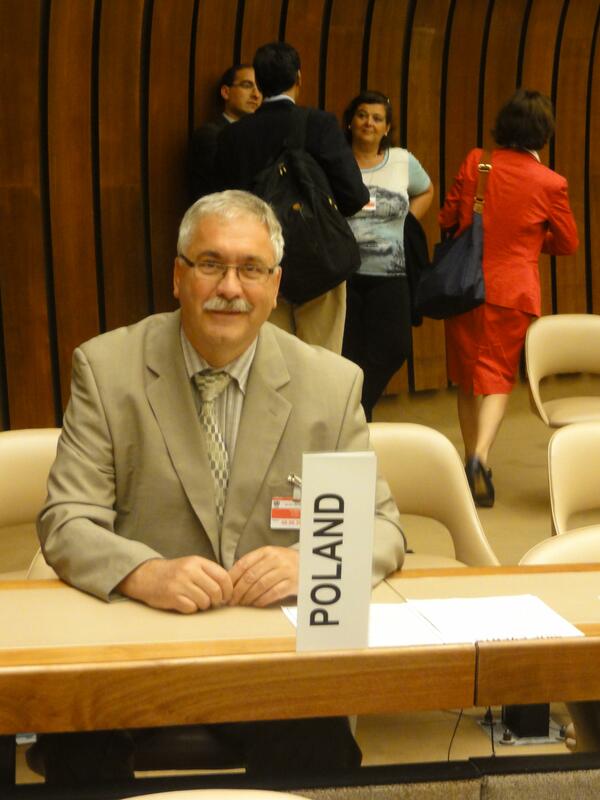 Professor Ryszard Słomski from Polish Academy of Sciences represented IAP the Global Network of Science Academies at the Meeting of Experts (MXP) of the Biological Weapons Convention (BWC) in Geneva. The IAP Biosecurity Working Group organized a “Workshop on Advances in Understanding Pathogenicity” on 3 August 2014 in Tiffany Hotel in Geneva. The workshop was attended by over 30 experts in the field; a copy of the agenda, the speaker bios, the discussion questions and a photo are attached (s. attachments 1 and 2). The meeting was dedicated to opportunities and challenges of two complementary issues - strategies for targeting pathogen virulence factors and examples of the modification of the immune response to a pathogen - and the implications of this research for the BWC and biosecurity. The meeting was held just prior to the MXP in hopes of increasing the direct engagement of technical experts from key States Parties who could help draw out the implications for the BWC of the material presented by scientific experts and increase the opportunities for the results to inform the discussions during the MXP and beyond. In morning session Kenneth Berns (University of Florida) gave an “Overview of host-pathogen interactions” and Nancy Connell (Rutgers New Jersey Medical School) covered “Introduction to the workshop focus”. The next four speakers Fredrik Almqvist (Umeå University), Abigail Male (University of Southampton), Elizabeth G. Posillico (Elusys Therapeutics, Inc.) and Michael Wong (Sarepta Therapeutics) focused their lectures on “Targeting pathogen virulence factors”. The afternoon session was oriented toward modification of host immune response and lectures were delivered by Diane Williamson (Defence Science and Technology Laboratory, DSTL), Alan Cross (University of Maryland) and Daniel Kalman (Emory University, US, remotely). At the end of session Nancy Connell led a discussion of implications and relevance to the BWC forum, followed by the identification of key messages, and presentation of concluding remarks. A written summary is being prepared that will be produced as a report from the Working Group and distributed at the BWC Meeting of States Parties in December. One major feature of the wo the 17th biennial event will cover all aspects of biotechnology, including environmental and green biotechnology, microbial physiology, microbial synthetic and systems biology, applied biocatalysis, industrial biotechnology, biochemical engineering, medical biotechnology and issues related to dual use of novel technologies. The session covering dual use will be co-organized by IAP and will gather representatives of research institutes, universities, consultants, law firms and individual biotechnologists. During a side event on “International Cooperation in Ensuring Biosecurity: Utilising Mobile Units” organized by the Russian Federation on August 5, Professor Słomski took a position on the feasibility of molecular analysis in the field of biological weapons outside of specialized laboratories. In his speech he drew attention to the performance of molecular tests for the service of the Russian Federation in a manner complementary to the EU regulations. Further comments related to the performance of PCR conditions taking into account all constraints of methods and possibilities of errors occurrence. Professor Słomski’s participation in the conference enabled the presentation of the statement of the IAP, providing expert commentary on mobile research laboratories as well as enabling the establishment of contacts with both the individuals involved in the activities of the Convention and experts in the field of defense against biological weapons and toxins. Finally, the Working Group was also able to serve as a co-sponsor of another side event on August 6, “Developments in S&T Relevant to the BWC”. The announcement of the event, which includes the agenda, is attached (s. attachment 4). The event was attended by approximately 85 people and a number of comments about the discussions were later made during the plenary sessions. Nancy Connell gave a presentation about the Pathogenicity workshop that had been held on August 3. The event also included a presentation about the results of an international conference on “Science Needs for Microbial Forensics: Developing an Initial International Roadmap” organized by the national academies of Croatia, the United Kingdom, and the United States, in cooperation with the International Union of Microbiological Societies. The workshop was held in October 2013. More than 50 people from just over 20 countries and several international organizations, including the BWC ISU, took part. The report of the meeting was released in June and is available as a free pdf (see http://www.nap.edu/catalog.php?record_id=18737). All of the presentations, along with all the other side event materials, will appear soon on the BWC website.